Gifted and talented children are those of high potential or ability, whose learning characteristics and educational needs require qualitatively differentiated educational experiences and/or services. Possession of these talents and gifts, or the potential for their development, will be evidenced through an interaction of above average intellectual ability, task commitment and/or motivation, and creative ability. To ensure that the needs of gifted and talented children are met, the school districts in Arkansas are required to hire a coordinator and, if need be, teacher(s) of the gifted and talented program. A G/T teacher refers to a specialist who has attained licensure, passed appropriate state approved assessments and meets standards as set by the State Board of Education through the Arkansas Department of Education Professional Certification Department for add-on endorsement in gifted education. A coordinator is responsible for developing and coordinating programs and services for identified gifted students kindergarten through grade twelve. Click on the link below to learn more about our school's program. More detailed goals to strengthen the development of characteristics attributed to giftedness are found in the Scope and Sequence (9.03). Students will be involved in activities requiring various methods of responsible self-expression. Activities will focus on the development of original ideas and means to express them such as writing, music, drama, photography, art and oral expression. Students will also refine skills in sensory awareness, independence, cognitive openness, body awareness, playfulness, and grasping complexity or holism. Students will develop self-management skills in learning to organize information, conduct research, planning and completing a project both in and out of the classroom. Additional work on learning and processing information should result in an increased ability to find, gather, and utilize information independently. Areas that may be included are goal-setting techniques, time management, flow charts, library skills, computer skills, using community resources, and exploration through empirical scientific methods. Students will be involved in activities to strengthen and develop both verbal and non-verbal communications skills as well as written communication skills. Activities will focus on various means of transmitting ideas and thoughts as well as becoming proficient in more than one mean. Listening skills will also be a focus. Students will be exposed to various types of communication used in our daily world and will participate in activities involving them. Students will see value in expression through different sources of communication. The program deals with the affective development of the student through acquisition of effective techniques to deal with personal and social problems, issues and situations. Evaluation and reflective thinking skills are used in analyzing and reacting to problematic situations. Students will be taught to cope with success and failure and to be objective about themselves. Decision making skills and goal setting will be reinforced. The development of positive leadership skills are involved in many types of activities. ​The 7th-12th grade students receive their gifted and talented services through differentiated curricula in the regular classroom. The program deals with the gifted student's ability to learn through acceleration in areas of special interest or skill. Students may learn more about a subject on their own or progress to a more advanced set of skills than they would normally encounter in the regular classroom. Differentiation in learning is also provided through the interdisciplinary modification of the content, processes, and products that would be taught in the regular classroom. The program encourages students to demonstrate their skills and abilities through the development of products which convey their expression of thought. Products are generally shared with an appropriate audience. 1. Acquire extended knowledge and insight into the content covered by the regular curriculum through different but related subjects. 2. Explain a wide variety of topics not covered in the regular curriculum. Although new and highly differentiated materials may be introduced, skills taught in the regular classrooms are required as well as extended. 3. Cultivate new opportunities to extend interest areas through exploration of specific topics within each unit. Exploration of existing personal interests is encouraged. 1. Independent discovery and formulation of problems. 2. Independent organization and use of information. 4. Evaluation and improvement of ideas. 5. Creation of new perspectives. 1. Reflection of synthesis - The product must show a different combination of thoughts that results from the student's forming a new idea.The synthesis is formed from the pieces of information that the students has been exposed to or has gathered. 2. Reflection of Original Thought - The product must reflect a "freshness" in some aspect of its design. It must represent newness in style or character and constructive imagination. 3. Reflection of Detail - The student must expand the detail in the product beyond that of only simple or immature expression. 4. Self-evaluation - The student must establish criteria for evaluation of performance and of the end product before completion of the project. Criteria must include each of the above factors as well as any other the student may wish to include. The actual evaluation process must take place within one week of the completion of the product. 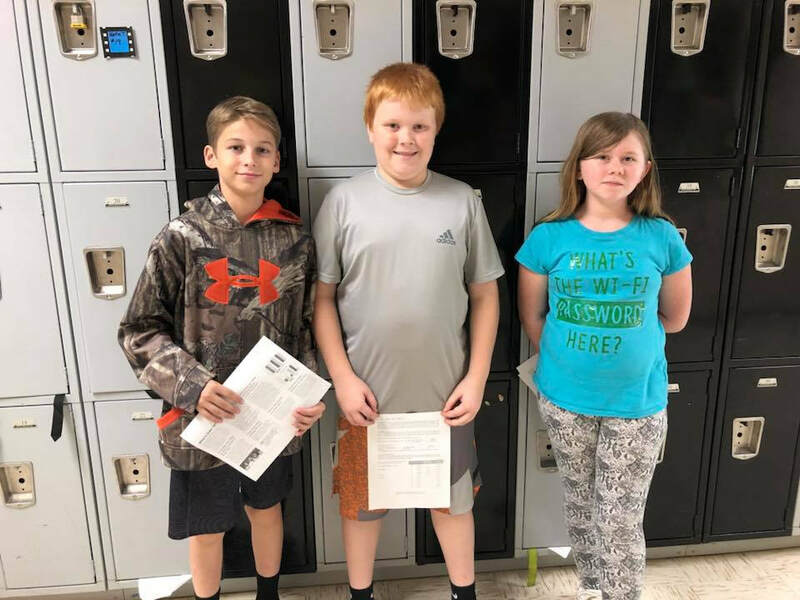 These 4th grade students qualified with their recent ACT Aspire score(s) to participate in the Duke University Talent Identification Program 4th-6th Talent Search! Pictured left to right: Jesse Cap, Aiden Overbey, Kyler Brashear, Tyler Anderson, and Kelly Morrison. These 5th grade students qualified with their recent ACT Aspire score(s) to participate in the Duke University Talent Identification Program 4th-6th Talent Search! Pictured left to right is: Lawson Churchwell, Elizabeth Thomas, Craven Brewer, Dylan Hanson, Caden Wiseman, and Clifton Pate. These 6th grade students qualified with their recent ACT Aspire score(s) to participate in the Duke University Talent Identification Program 4th-6th Talent Search! Pictured left to right: Ava Thomas, Isaiah Bohmfalk, Chris Densford, Xander McCandlis, Megan McBride, and Angel Hellums. 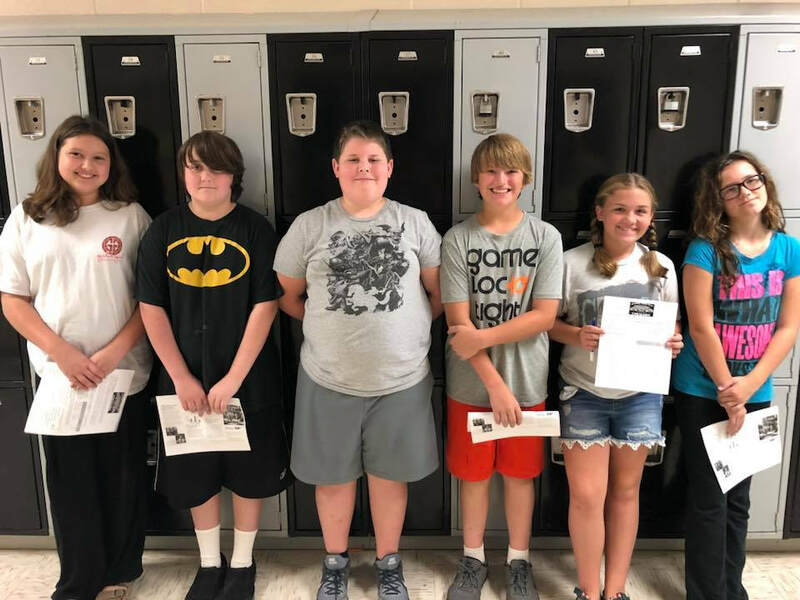 These 7th grade students qualified with their recent ACT Aspire score(s) to participate in the Duke University Talent Identification Program 4th-6th Talent Search! Pictured left to right: Keaton Melton, Elijah Wilkes, and Jamie Johnston. Surveys were sent out to the elementary school, middle school, and high school students, teachers, and parents. Surveys were also sent out to the school administration and school board members. Below are links to results for each survey. ​Elementary student and elementary parent surveys surveys were distributed, but none were completed. Yes No Maybe. I need more information. Please contact me about it.